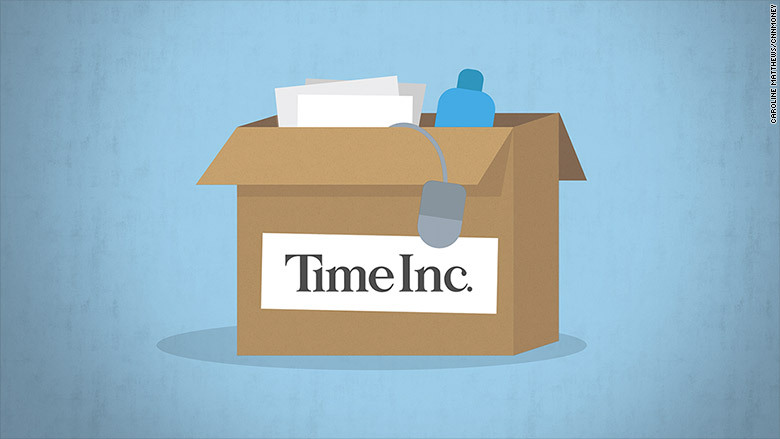 More than 100 people laid off at Time Inc.
Time Inc. will lay off roughly 110 members of its staff this week as part of an ongoing reorganization of its advertising sales strategy, a source there told CNNMoney. The layoffs will be across the company, but will focus on the sales and marketing team. The cuts represent about 1.5% of Time Inc.'s overall staff. Time Inc. declined to confirm the total number of layoffs, but did issue a statement acknowledging "some job eliminations." "Over the last couple of weeks, we have been realigning our organizational structure to better leverage our content creation, sales and marketing and brand development operations," the statement read, in part. "As a result, there will be some job eliminations. That is always painful but an unfortunate reality in today's business climate." Time Inc's reorganization began earlier this year when CEO Joe Ripp announced the launch of three new targeted ad groups: a technology and telecommunications group, a pharmaceutical group, and an automotive group.